Birdwatching is greatly enhanced with the right equipment. And, the best place to start is with a good pair of binoculars. Beginners often make uninformed choices when buying binoculars, sometimes selecting equipment that performs poorly in the field. I’ve watched many frustrated novices struggle with inappropriate optics while others around them easily enjoy the birds they’re viewing. Binoculars are ranked by two numbers, separated by “X”. The first number indicates power (magnification). Each number above 1 is the times the image is magnified. The second number indicates size. The number is equal to the diameter of the objective (outer) lens in millimetres. For example: 8 X 42 binoculars magnify eight times, and their objective lenses are each forty two millimetres across. It is important to note that with increased magnification you are decreasing the field of view, and lowering the brightness. By increasing the diameter of the objective lenses you are adding bulk & weight. But, you also add brightness, And, in some cases, widening the field of view. What is comfortable to wear? Will I need the binoculars for other subjects besides birds? Like any purchase, get the best that you can afford. And, buyer beware. Binoculars are like fishing lures. Many are designed to catch the fisherman… not the fish. Avoid high-powered binoculars (anything greater than 10 power). They have a narrow field of view, and are difficult to hold steady. Avoid Zoom binoculars (variable magnification). Although zoom is a versatile feature on a telescope supported by a tripod, this feature has poor performance when coupled with a birding binocular. Get a model that fits comfortably in the hand, as well as around your neck (there are neck harnesses specially designed to help distribute the weight of larger binoculars). Small binoculars might be comfortable. But they do not supply a bright/clear image. If you insist on buying small binoculars, get a low magnification (7 or 8 power maximum). 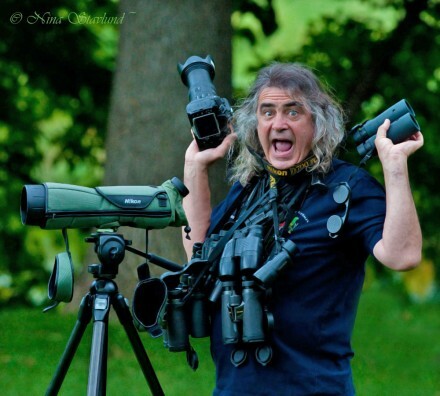 High-power on small binoculars perform poorly under many birding situations. Waterproof optics, and armour/rubber plating are worth considering. They’re more durable, and could add a few years to the life of your binocular. Test as many different types before you make a choice. Consider comfort and clarity. When you’re in the field, ask other birders if you can test their binoculars, and compare them to your own. Test them under low light and shadow to see how they perform under extreme conditions. If possible, before testing, read the owners manual, and make sure the individual pair you’re using is focused for your own vision. When you buy your binoculars, read the owners manual thoroughly, and follow all the instructions. In my opinion, the current best design for general birding is an 8X42 roof prism model. My personal favourite right now is the Nikon 10X42 EDG. However, some birders might find them heavy and hard to handle. 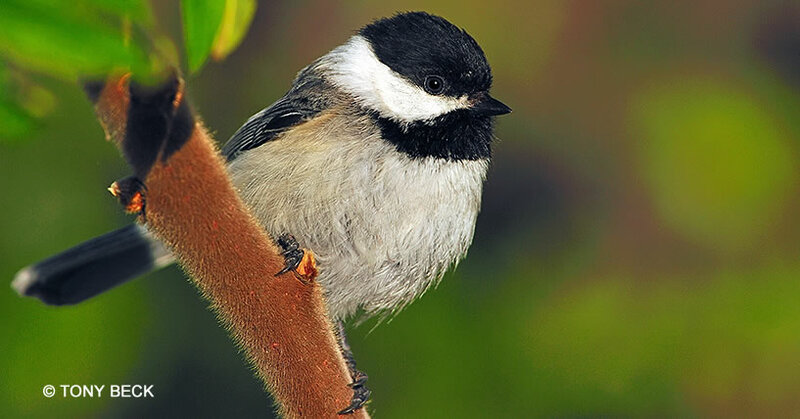 Higher end products are typically durable, relatively comfortable and perform very well for birding, especially under low light or extreme conditions. Some of the best models can focus extremely close, making them excellent for observing butterflies, flowers or tame birds. With the right tools in hand, you’ll experience much more of our wonderful natural world.